Fatal Motor Accident, In Devon Street. As the result of a motor accident in Devon street, New Plymouth , on monday night, an elderly man named John Clarke, a resident of Fiztroy, was admitted to the new Plymouth hospital suffering from a fractured skull and a broken leg, injuries which caused his death about seven o'clock the same evening. Mr. Clarke without any warning steppped off the footparth , right in front of the motor car, apparently intending to board a tram car. It was imopossible to avoid a collision, and Clarke was knocked down, recieving injuries as already stated. Dr. Milroy was summond, and after rendering first aid, ordered the injured man to be removed to the hospital where he died two hours or so later. The deceased had been employed at the Smart Road Freezing Works. He was a married man, 66 years of age and leaves a grown-up family. He was very well known in Auckland, where he was for many years in the employ of Pulman and Armitage , cab proprietors. CLARKE. - In loving memory of our dear father, accidentally killed at New Plymouth, July 10, 1922. Day by day our thoughts do wander, To that grave so far away. Where we placed our dear father, Just one year ago to-day. Inserted by bis loving daughter and son-ln-law, Ruby and Carl Hubrick. - In loving memory of our dear father, John Clarke, who was accidentally killed at New Plymouth, July 10.  1022. We are thinking of you, dear father, Thinking of the past. Picturing you in memory, Just as we saw you last. Inserted by his loving son and dauguter-in-law, Bill and Maude. - In sad but loving memory of my dear father, John Clarke (Nobby), who was killed in New Plymouth. July ]O. 1922. In the midst of life, we are in death. Inserted by his loving daughter and son-in-law and granddaughter, Pearl, Bert and Kathleen. - In fond and loving memory of my dear father, who was killed at New Plymouth, July 10, 1022. moving and true in all Ways, the best father God ever gave. Inserted by bis loving daughter and son-in-law, Vie, Hetty, and Chris. - In loving memory of our dear brother-in-law. 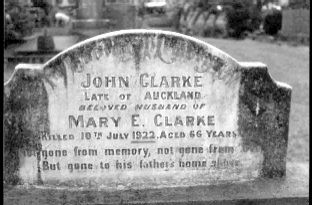 John Clarke (Jack), who was killed at New Plymouth on July 10. 1922. Each sorrow has a purpose. Oft by the sorrowing unguessed. But as sure as the sun brings morning, Whatever God knows is best. Inserted by A. and G. Waddell, Te Aroha. 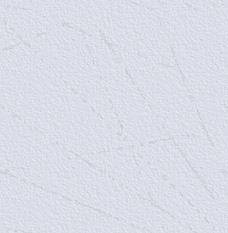 Mary Elizabeth Clarke, widow,  758 Devon Street, N.P. Not in the 1928 N.P. roll. Transcription of the burial record from the Hillsborough cemetery. 2nd April 1935 was 70 years old. Born in Rugby England and spent 69 years in the province . 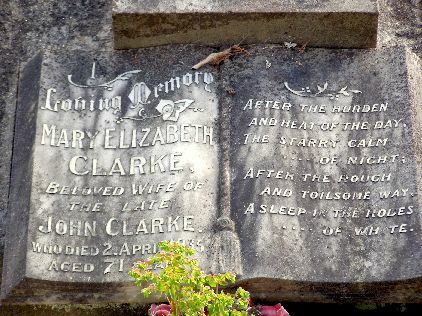 On April 2, at Auckland, dearly loved wife or the late John Clarke (Nobby), of Parnell, and loved mother or Mesdames Hubrick, Smith, Long, Laver, Noyes, Hughes (.Sydney), and W. Clarke (Sandringham), C. Clarke and F. Clarke (New Plymouth). In loving memory of our dear mother, Mary Elizabeth, who departed this life on April 2, 1935. Calm and peaceful she is sleeping, Sweetest rest has followed pain, When we think or how she suffered, We could not wish her back again. Inserted by her loving daughters Ruby, Hetty, Violet and Die.